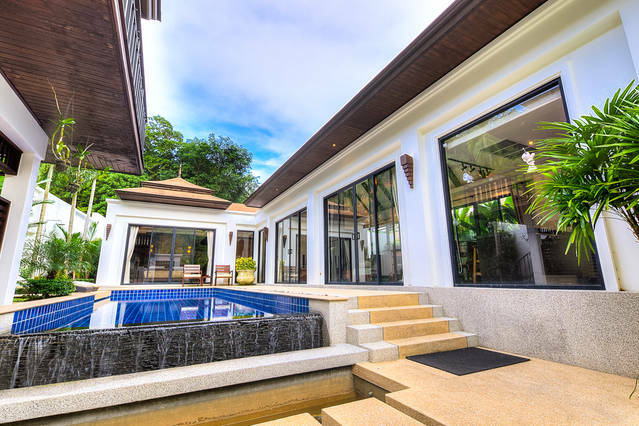 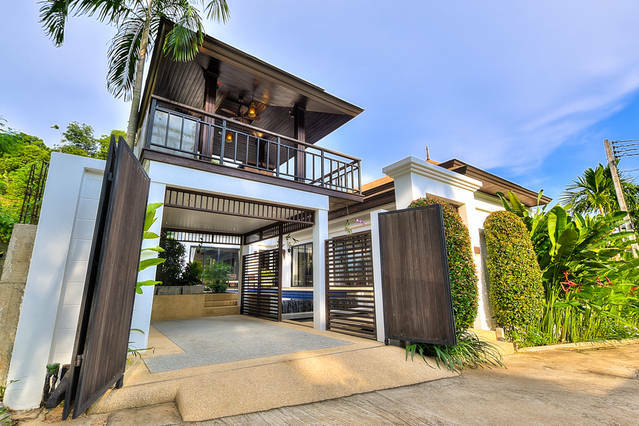 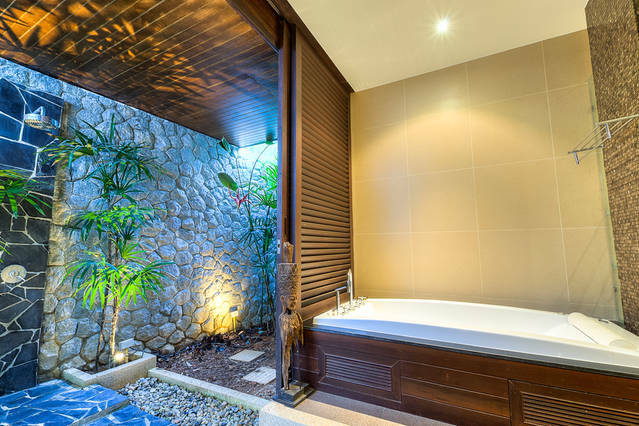 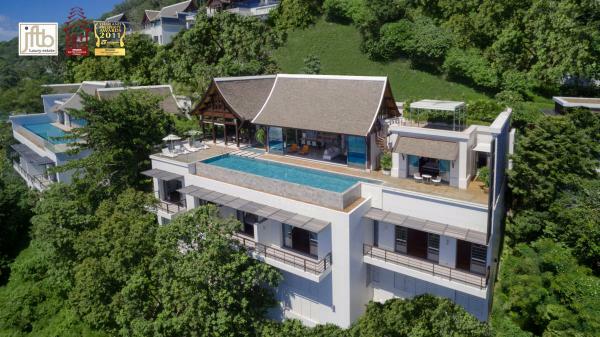 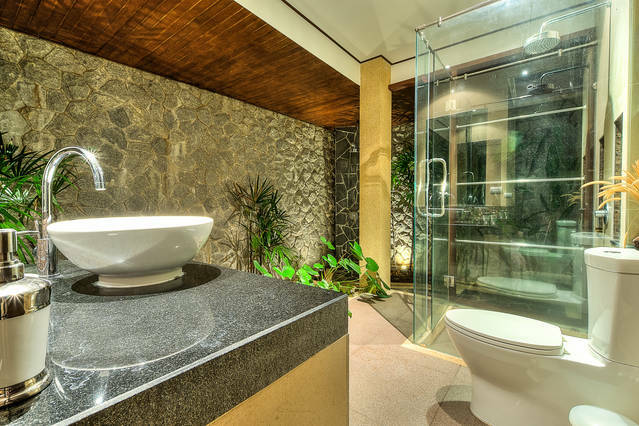 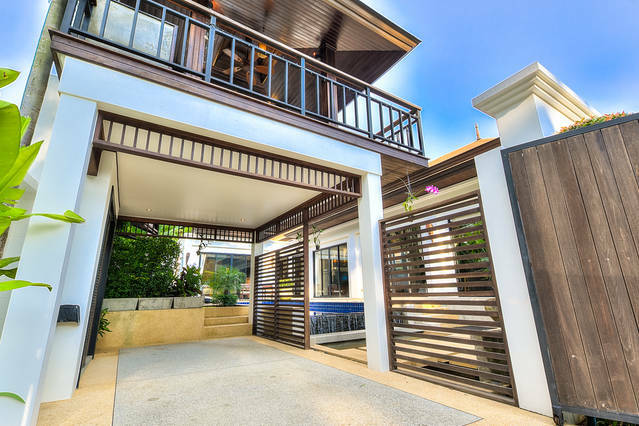 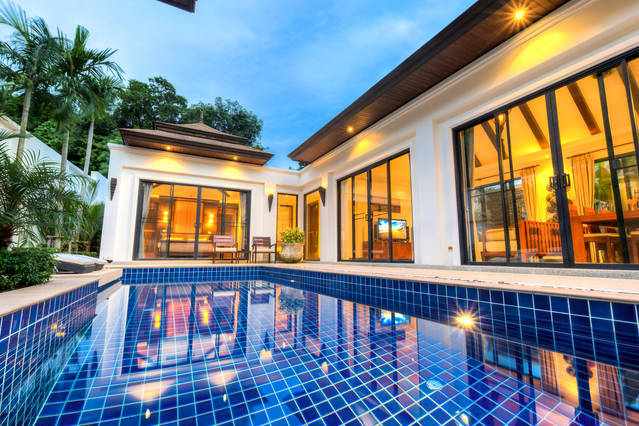 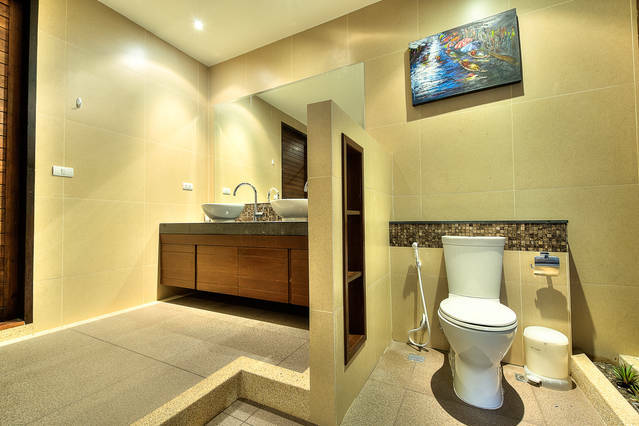 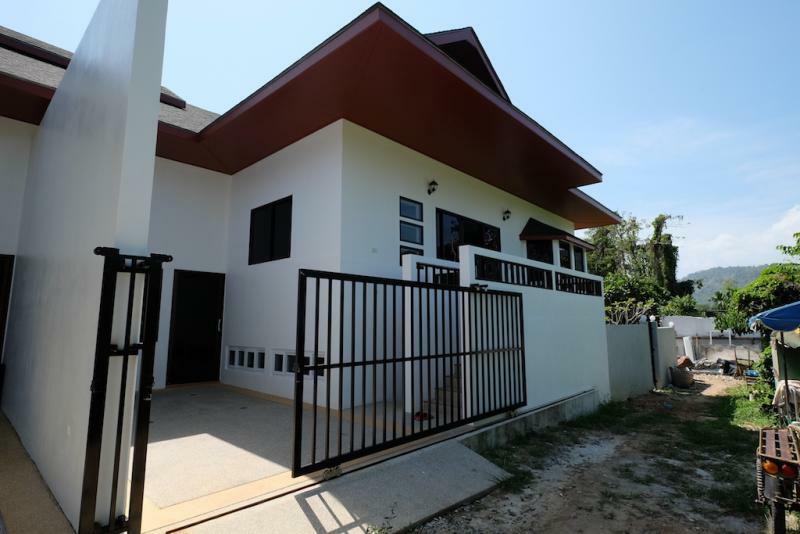 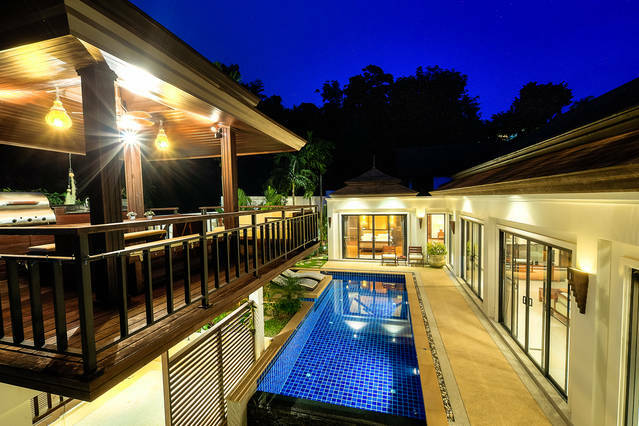 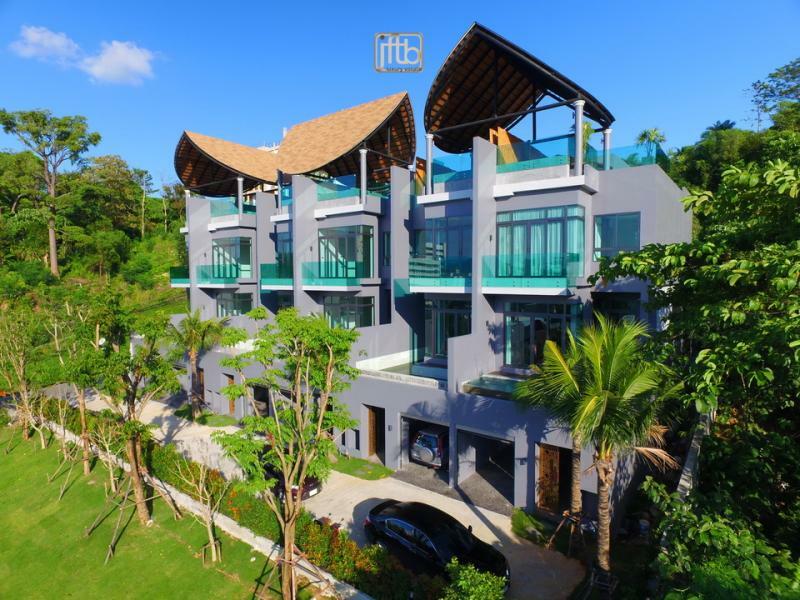 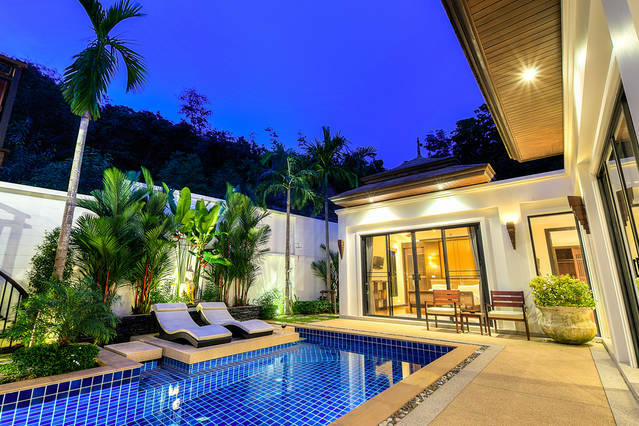 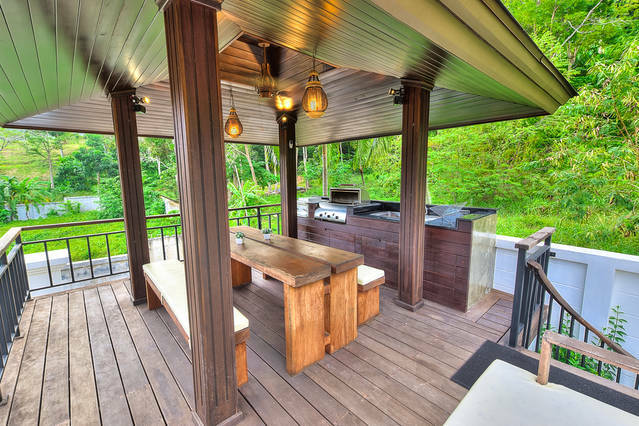 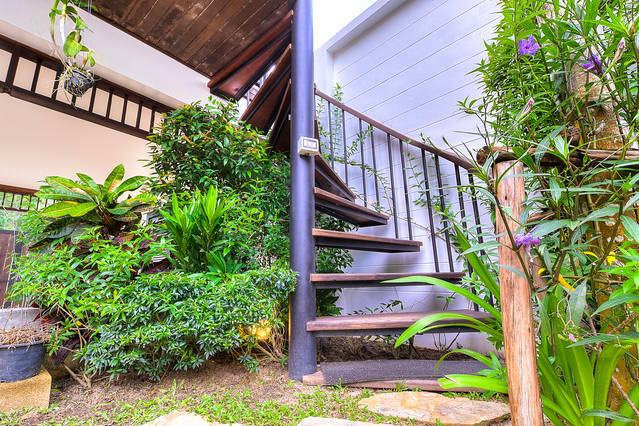 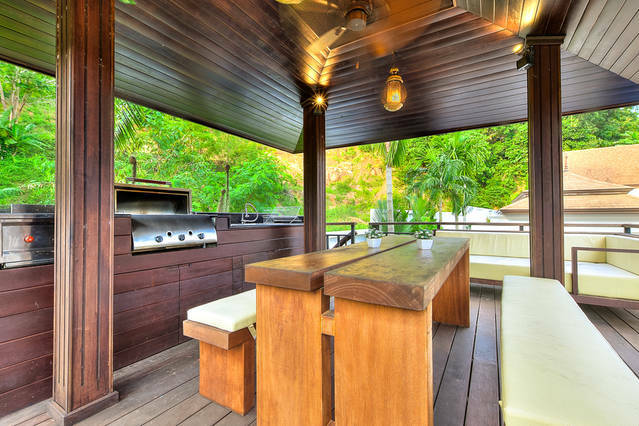 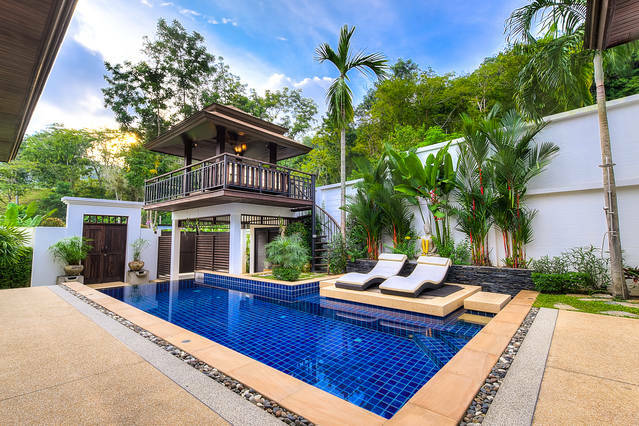 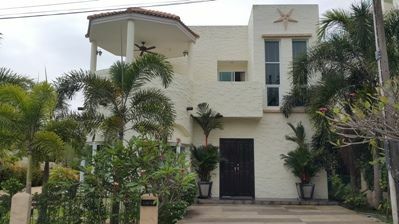 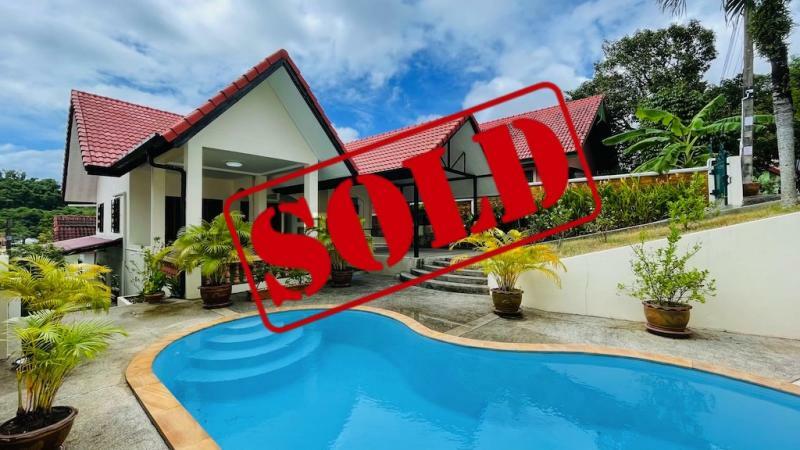 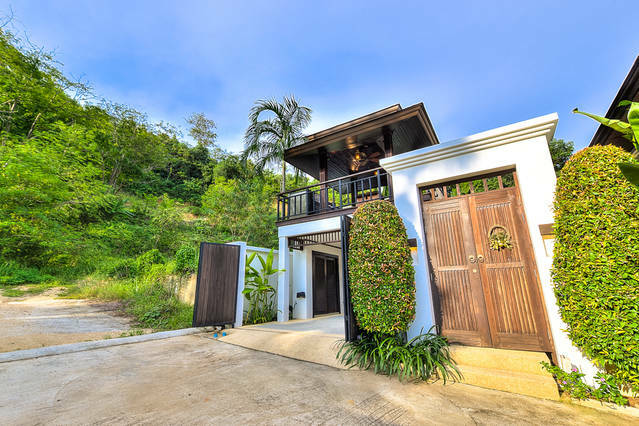 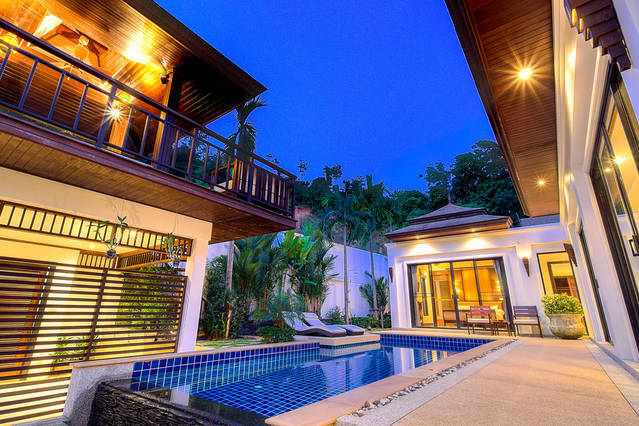 Luxury Bali style House for rent in Nai Harn on Phuket’s south coast. 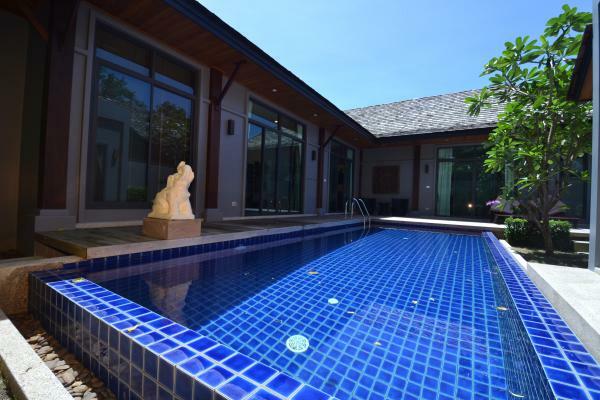 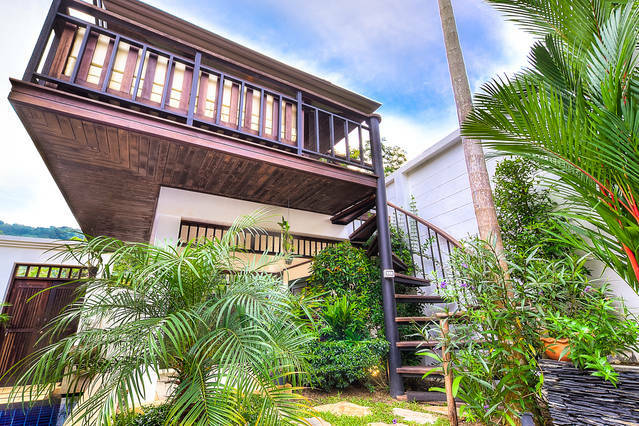 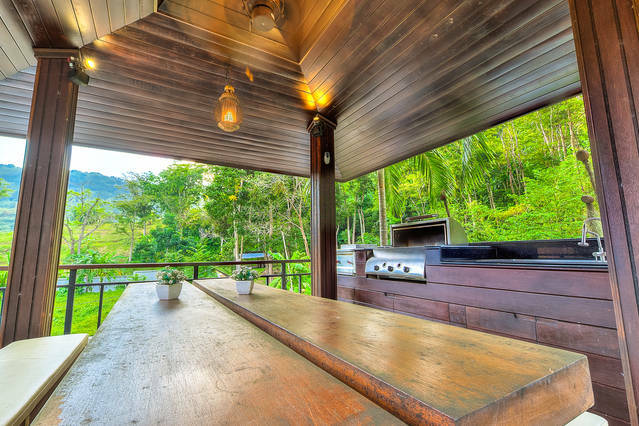 This Property to Rent has a walled private garden with an infinity pool, sala with BBQ and Music sound system, Deck spaces. 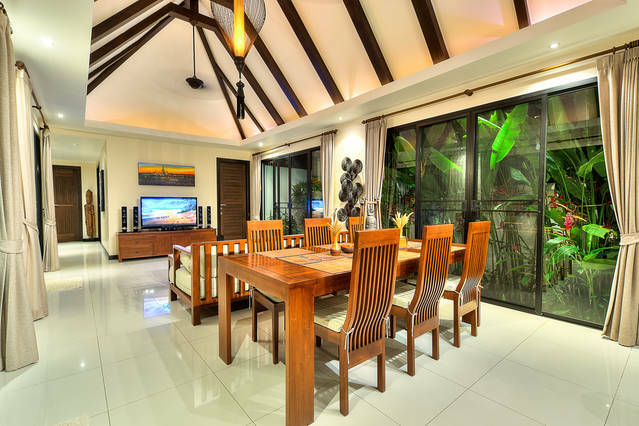 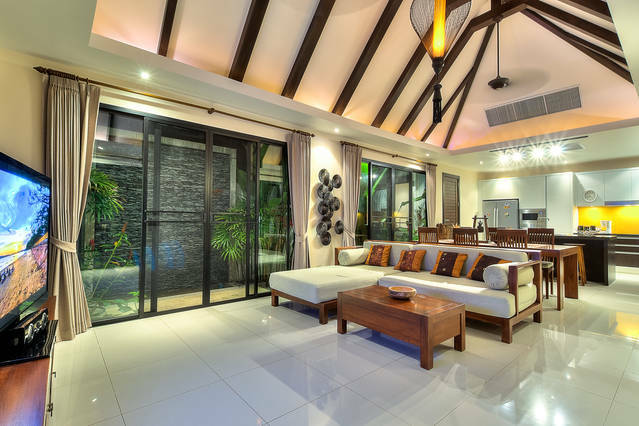 Indoors the vaulted ceiling and spacious living area give a sweet tropical feeling, with central air cons and fans. 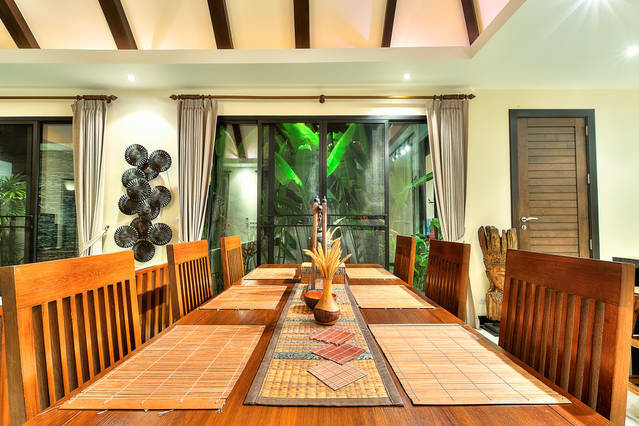 Spacious dinning area for 8 people. 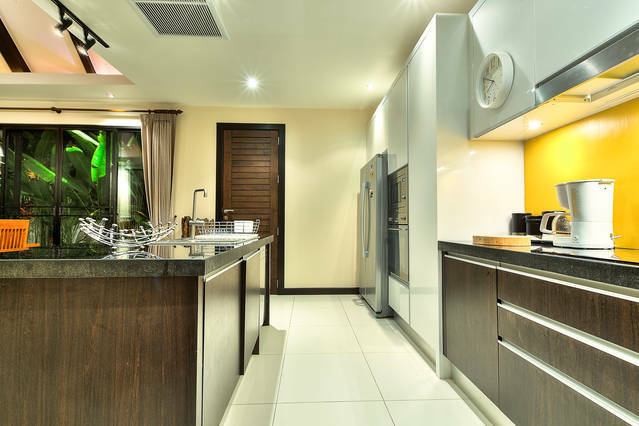 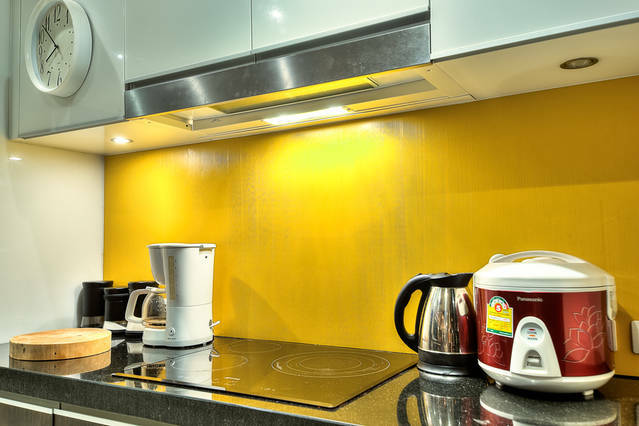 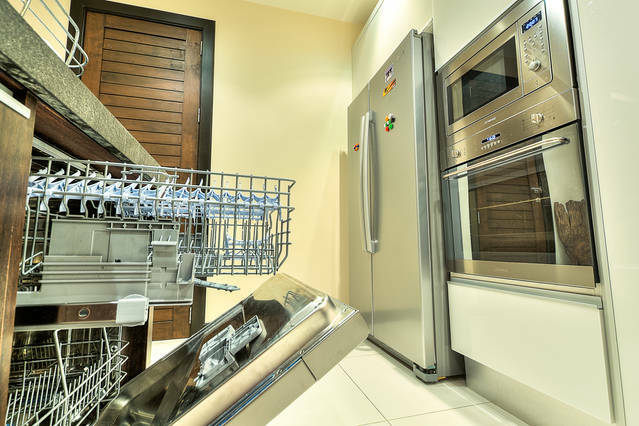 The modern western kitchen has a full appliance selection, with all equipment needed to prepare your favorite dish, have dishwasher as . 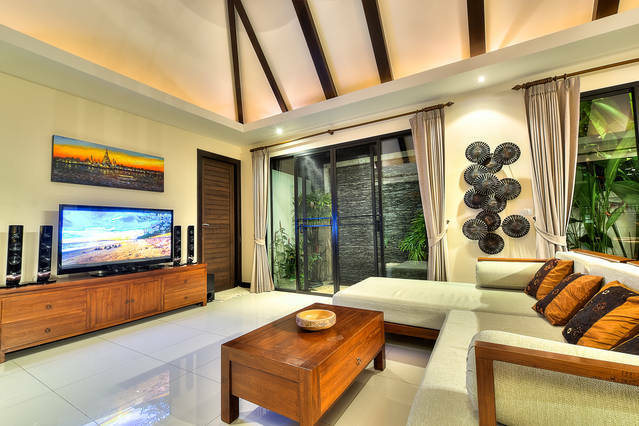 The 3 bedroom en-suite layout has 2 pool view and 1 with relaxing garden view. 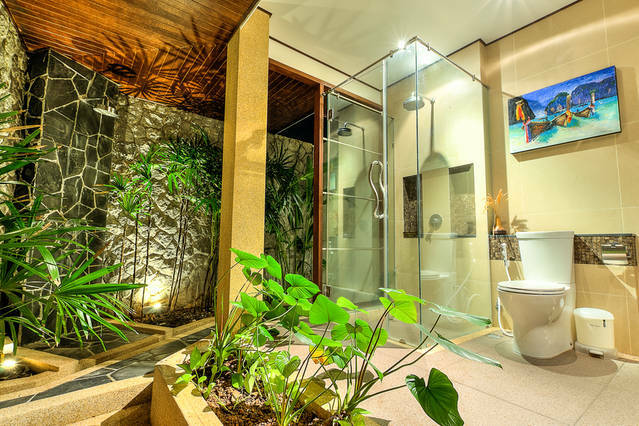 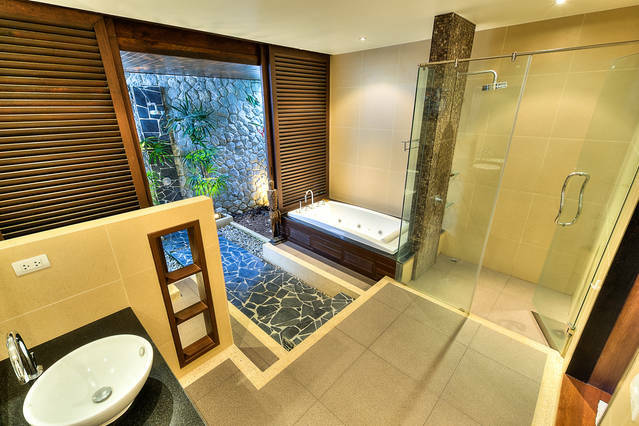 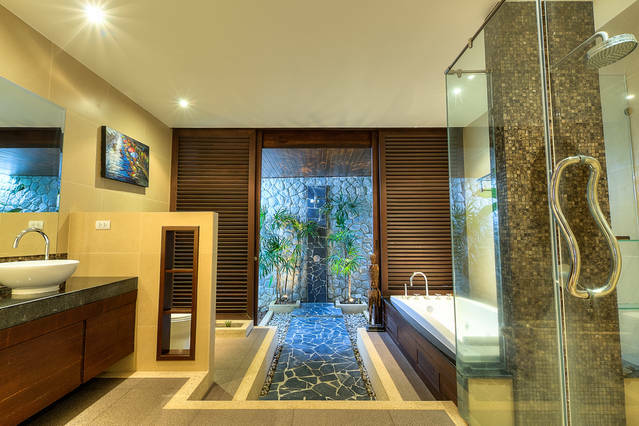 Each Bedroom have its on one suit Shower, Jacuzzi. 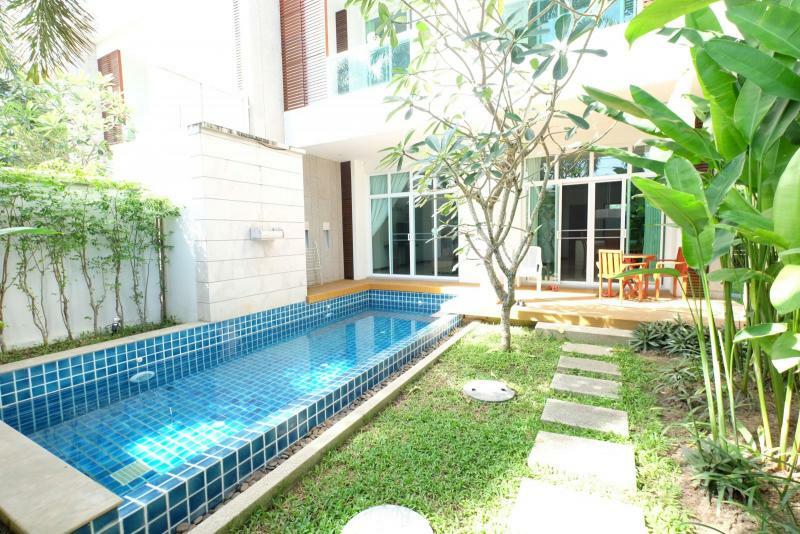 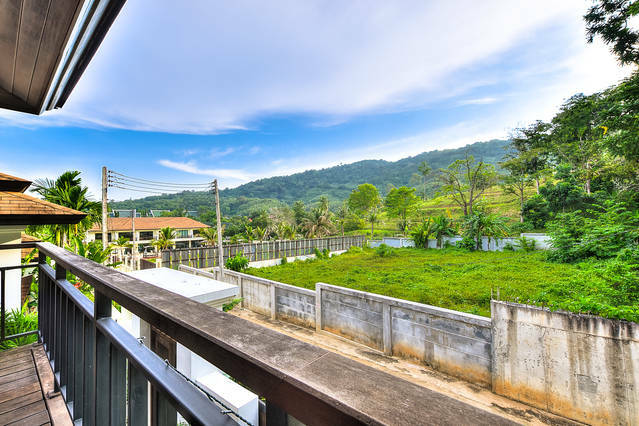 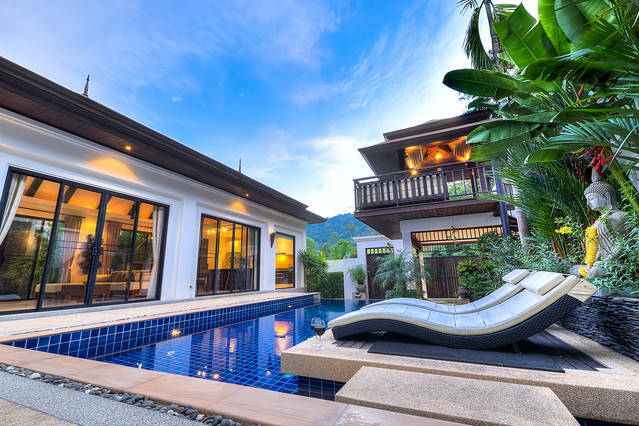 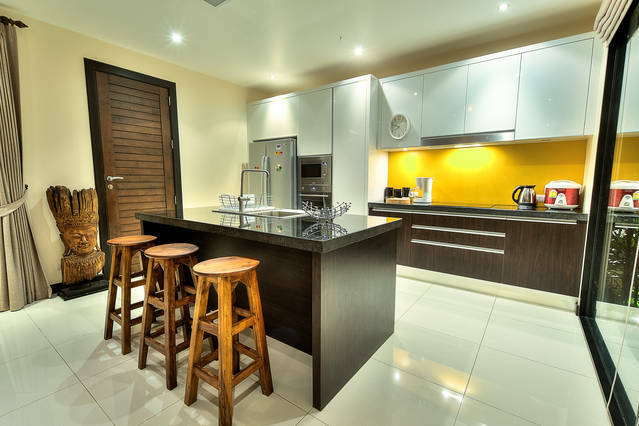 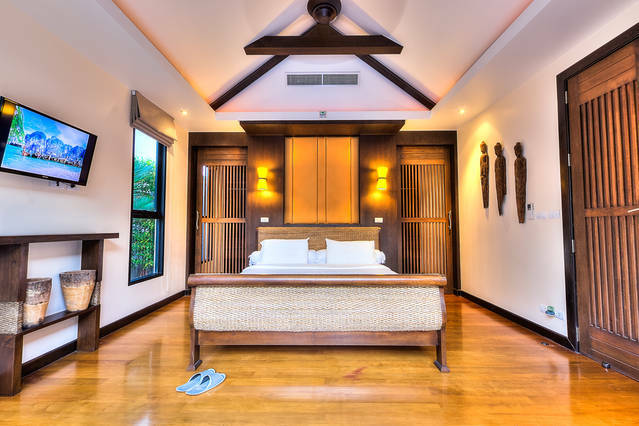 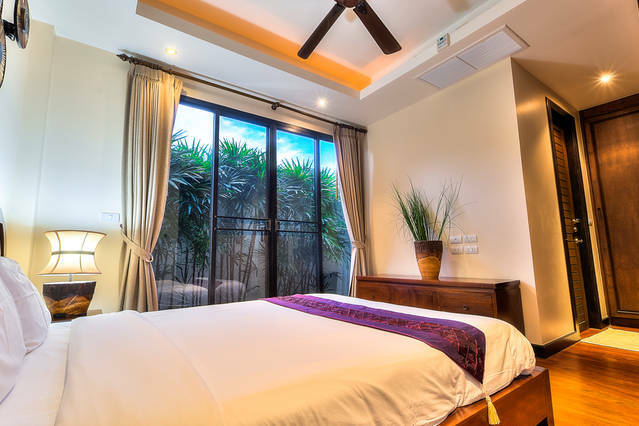 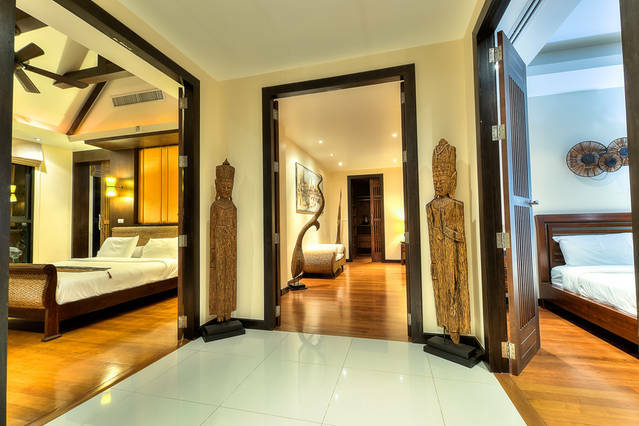 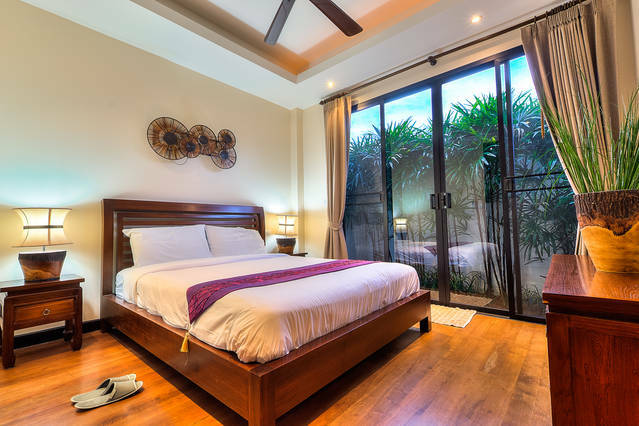 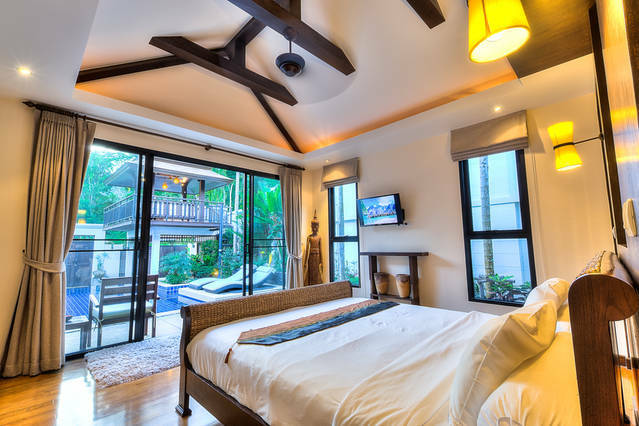 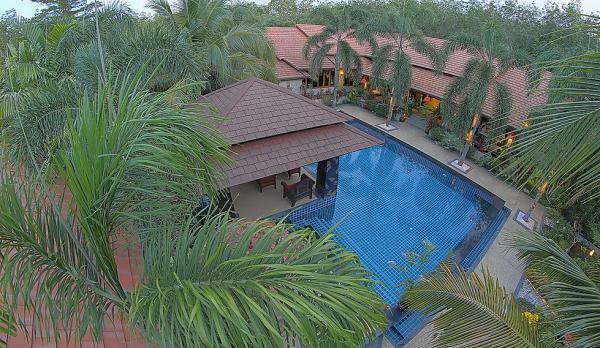 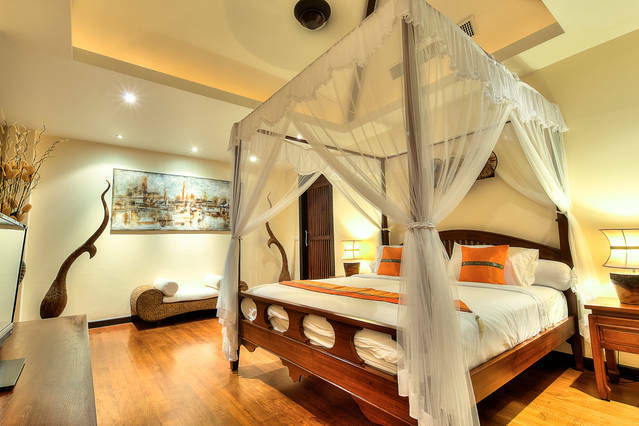 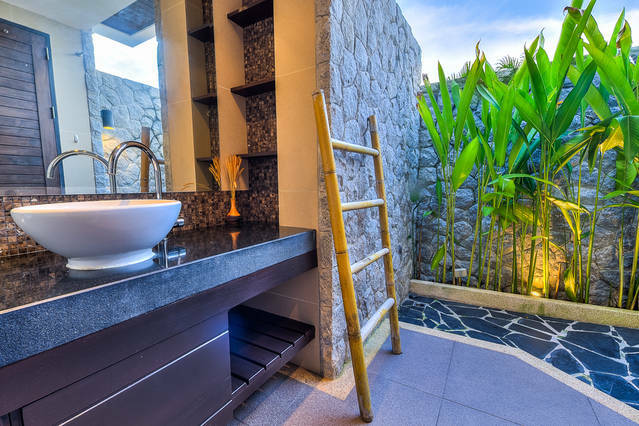 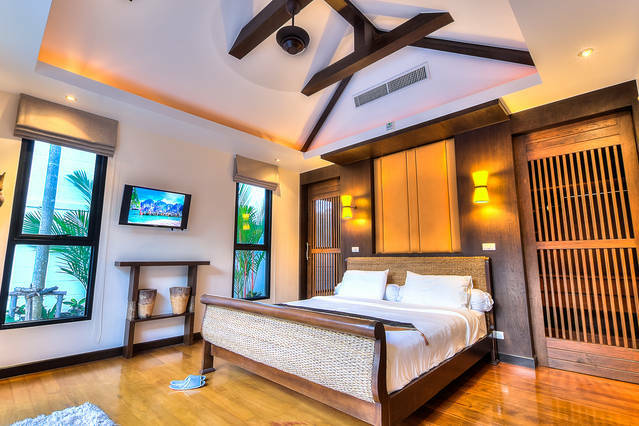 Fully furnished in modern luxury Thai style.